To make hotel room reservations, call (870)216-2000 and ask for the ASPA/TASP discount. Dr. Murphy's morning presentation will cover how the quality of a helping relationship strongly influences service outcomes in counseling and consultation. This workshop provides a toolbox of practical, research-supported strategies for building relationships that help young people and their caregivers address concerns and goals at school and elsewhere. This workshop supports domains 2, 4, and 7 of the NASP Practice Model. Dr. Ogonosky’s morning session will provide a framework for gathering multiple sources of RtI behavioral data using a gate system that incorporates RIOT/ICEL problem solving. Topics of discussion include collecting, analyzing, and providing consultation to RtI teams regarding all 3 tiers of behavior strategies and interventions. The focus of data interpretation will also center on integrating informal and formal data sources to form a foundation of problem solving that leads the team discussions to include positive behavioral supports, classroom management and individual strategies necessary for student success. Case studies and activities will be provided to promote practice and group discussion. This workshop supports domains 1,2, 4, and 5 of the NASP Practice Model. Dr. Murphy’s afternoon workshop provides practical strategies for partnering with parents in respectful ways that engage their support in resolving school problems. Based on family therapy techniques and research on helping people change, workshop strategies include using solution talk, reframing, instilling hope, interviewing the internalized other, working with so-called “resistant” parents, and integrating solution-focused practice into parent-teacher meetings, parent counseling and consultation, and parent education programs. This workshop supports domains 4 and 7 of the NASP Practice Model. Dr. Ogonosky’s afternoon session will focus on providing information regarding strategies, supports and resources aligned to evidenced based tiered SEL supports that are essential for promoting and sustaining emotional and behavioral success for all students. Included in the discussions will be examples of navigating the challenges of working with staff who may lack skills necessary for implementing strong classroom management techniques when working with a difficult behavioral issue. Activities and case studies will also be provided to generate additional tools for the school psychologist to use when working with RtI teams. This workshop supports domains 2, 4, and 5 of the NASP Practice Model. Ms. Goldstein’s morning presentation will include an overview of the mindfulness framework. Specifically, the presentation will cover ethical and multicultural considerations for the school and counseling settings. After the presentation, practitioners will have a better understanding of the purpose and utility of implementing mindfulness in their practice. This workshop supports domains 8 and 10 of the NASP Practice Model. Ms. Patenaude will provide an overview of historical and current definitions of executive function (EF). 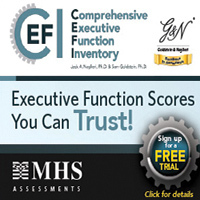 The workshop will include a review of current measures and details about the Comprehensive Executive Function Inventory (CEFI; Naglieri & Goldstein, 2014). Review will be made of content, administration, scoring options, interpretation, and psychometric properties of the CEFI. Participants will be introduced to the MHS Online Assessment Center and its utility as an assessment resource for evaluating students. Attendees will be confident in their use of the assessment tools and the MHS Online Assessment Center through multiple case study examples. This workshop supports domains 1 and 3 of the NASP Practice Model. Ms. Goldstein’s afternoon session will cover implementing mindfulness-based interventions in the school setting, and evidence- based mindfulness practices for the counseling and classroom setting. In addition, experiential mindfulness practices will be interwoven throughout the presentation to provide attendees with concrete mindfulness strategies to integrate into professional practice. This workshop supports domain 4 of the NASP Practice Model. In a recent pilot survey, 82% of school psychologists reported having worked with students who experienced a potentially traumatic event in the past year. Unfortunately, many current models of acute crisis management and prevention do not adequately address the needs of students with complex trauma histories. School psychologists can play a vital role in addressing students’ traumatic stress and helping other educators understand how it impacts development, learning, and behavior. You will learn how traumatic stress impacts children’s cognitive, academic, social, emotional, and behavioral functioning; review evidence-based interventions; and use a research-based framework to understand and recommend appropriate interventions for children affected by complex trauma. This session is most relevant to NASP practice domains 2 and 4 and is applicable to a variety of audience members, novice to expert, who work with students between pre-kindergarten and twelfth grade. John Murphy, Ph.D., is a Professor of Psychology & Counseling at the University of Central Arkansas, former finalist for NASP School Psychologist of the Year, and internationally recognized practitioner, author, and trainer of collaborative, strengths-based approaches with young people, families, and school problems. Dr. Murphy continues to provide therapeutic services to young people, adults, families, and agencies. He serves as a Project Director with the Heart & Soul of Change Project, an international research/advocacy group that promotes respectful, client-directed services for marginalized persons of all ages and circumstances. Andrea Ogonosky, Ph.D., LSSP, NCSP, is a National Speaker on the topics of RtI, Assessment, Differentiated Instruction, and Behavior. She received her Ph.D. in school psychology from Penn State University. Dr. Ogonosky is the author of five books detailing the implementation of RtI. Most recently she is a contributing author to The Woodcock Johnson IV Reports, Recommendations and Strategies book. She has authored several articles on assessment and measurement, RtI, and working with struggling learners in the general education classroom. Dr. Ogonosky has practiced as a school psychologist in Pennsylvania and Texas and has served as a Central Office Administrator over Diagnostic and Psychological services for a school district serving 40,000 students. Currently she is an Educational Consultant providing a variety of assessment and consultative services to school districts across the nation. Dr. Ogonosky is a Past President of the Texas Association of School Psychologists. Julia Englund Strait, Ph.D., is an Assistant Professor of School Psychology and Health Services Psychology at the University of Houston-Clear Lake. She earned her bachelor's degree from the University of Texas and her doctorate from the University of South Carolina. She is a licensed psychologist (LP), a licensed specialist in school psychology (LSSP), a nationally certified school psychologist (NCSP), and a certified English language arts teacher. Dr. Strait completed her pre-doctoral internship at Crowley's Ridge Educational Service Cooperative in Arkansas and the postdoctoral fellowship in Child Welfare and Trauma-informed Care at the University of Tennessee Center of Excellence for Children in State Custody, where she also served as a staff psychologist and clinical supervisor for interns conducting comprehensive evaluations of and interventions for children and adolescents who were involved in the Department of Children’s Service (DCS) system. She specializes in child assessment, scale development, stress and self-regulation, and child trauma and is currently the Research Chair for the NASP Child Maltreatment and Trauma Interest Group and a Selected Trainee with the NICHD R25 Training Institute for Research in Child Abuse and Neglect. Amy Patenaude, Ed.S., NCSP is a licensed school psychologist and nationally certified school psychologist. She earned her Master’s and Education Specialist degrees from the University of South Florida. Currently, Amy is the MHS Assessment Consultant for the Southeast Education region. MHS is an internationally known publishing company. Some of the published assessments include the Conners 3, ASRS, CEFI, and Ortiz PVAT. As an Assessment Consultant, Amy has presented at the district, regional, state, and national levels on best practices in assessment of youth. Amy’s areas of expertise include assessment, positive behavior supports, behavioral parent training, multi-tiered systems of support, and crisis intervention. Amy believes assessment professionals play a crucial role in advocating for youth in the schools. Obtaining Proof of Continuing Professional Development (CPD) Policy: It is the responsibility of each participant to sign their name on the sign-in sheet within 15 minutes of the beginning of the session. 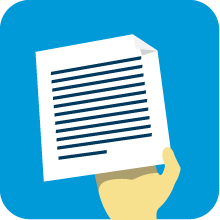 Sign-in sheets will not be available after the first 15 minutes of a CPD session. Only participants that sign-in within 15 minutes of the start of the session AND submit the electronic evaluation for that session by 11:59 PM on June 24, 2018, will receive a CPD Certificate. No CPD certificates will be issued for participants who sign in after 15 minutes of the start of the session OR submit their electronic evaluation AFTER June 24th. CPD Certificates will be emailed to the participant's email address that is associated with their registration account by June 26, 2018. Americans With Disabilities Act: Do you require any of the special services (such as an interpreter or wheel-chair accessible accommodations) covered under American with Disabilities Act of 1990 (Public Law 101-336, Section 102)? If so, please send your requirements in writing no later than June 1, 2018 to TASP Summer Institute ADA Requirements, 14070 Proton Road Dallas, TX 75244, by calling (972)233-9107, or by emailing [email protected]. Refund/Cancellation Policy: Summer Institute cancellations made by June 1, 2018 will receive a refund LESS an administrative fee, AFTER the event. Cancellations made after June 1, 2018 will NOT be refunded. Cancellations may be made in writing to TASP, 14070 Proton Road Dallas, TX 75244, by calling (972)233-9107, or emailing to [email protected]. TSBEP Professional Development Rules on Ethics and Cultural Diversity: It is the responsibility of each individual licensee to determine if CPD sessions meet the requirements of the TSBEP’s rules on cultural diversity and ethics. If you have any questions, please contact TASP’s Professional Development Chair at [email protected] or TSBEP at http://www.tsbep.texas.gov/. This convention provides NASP-approved CPD credits for school psychologists. TASP and ASPA are approved by the National Association of School Psychologists to provide continuing education for attendees. TASP is also approved by the Texas State Board of Social Worker Examiners (TSBSWE) and the LPC Board to provide continuing education for social workers and professional counselors. This conference has also been approved by the Arkansas Department of Education (ADE) for licensed K-12 educators. TASP and ASPA maintains responsibility for the program and its content.